How we use Intercom to engage with our users on Twitter. Most will think of Intercom's social profiles as way to get a bit more info about their users: Instead of a faceless email, you usually get an avatar and links to the user's profiles on various services, like Twitter, Facebook, Linkedin, etc. Just looking at the profiles helps a lot, and it can be useful if you want to contact the ones who are active on a specific social network --for example, if you add a Linkedin integration to your product, it makes sense to contact users who have a Linkedin profile. At Deepfreeze.io, we wanted to take it a bit further. we already had all we needed at no additional cost through Intercom. we didn't have to learn a new API, since we were already familiar with the Intercom API. And here is an example of how an "anonymous" email, can be turned into a happy customer and a valuable, public conversation about our service. In this case, an email address we knew nothing about is turned into a real person  who is working with video and is about to launch a Kickstarter campaign for a new game: Now, this is an insight we wouldn't have otherwise, and one we can built on to offer real value to our user. Of course, the hard work is not automating the Twitter follows, it's actually engaging with our users in meaningful ways. But thanks to Intercom and a little extra coding, we can focus our resources on the hard part. 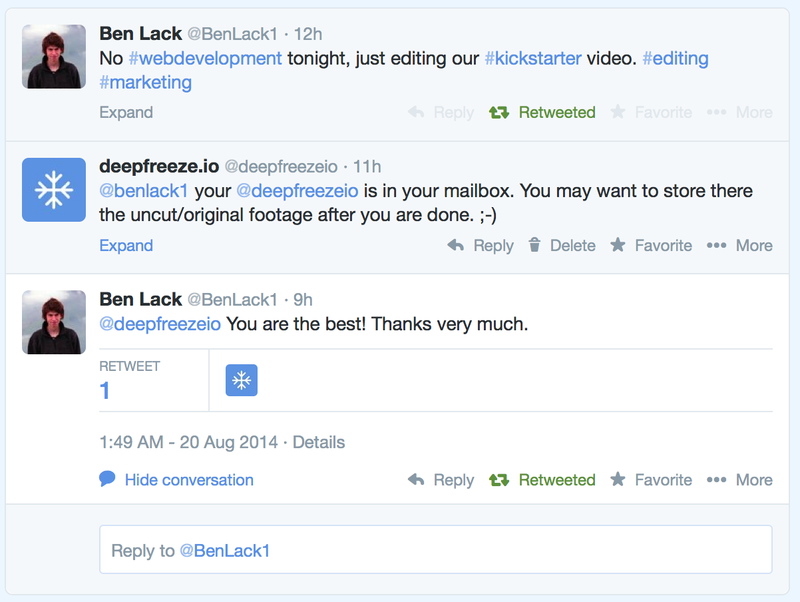 Deepfreeze.io is a cloud storage service designed for rarely used files. Request an invite and get 100GB free for one year. Hey! 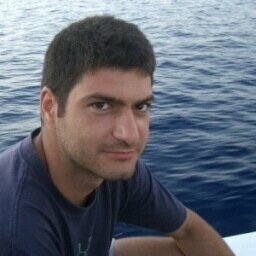 If you want to know more about the project Ben Lack works on, follow @BenLack1.